Win a Free Trip to Iceland! We’re celebrating 50 years of the Red Line Rapid’s direct airport service by giving away a free trip to Iceland! Enjoy five days and four nights in the land of fire and ice, courtesy of RTA and Icelandair. We’ll provide round-trip airfare for two on Icelandair, hotel accommodations (with breakfast included), a Golden Circle tour provided by Reykjavík Excursions, and hotel and airport transfers from Flybus Plus. Every valid email address receives one entry. This sweepstakes runs through November 11, so be sure to enter today! Only one entry card will be accepted per person. All entries become the exclusive property of the sponsor and will not be acknowledged or returned. On Friday, October 24, 2008, a huge crowd gathered on lower Euclid Avenue to watch history unfold. A lengthy construction project was complete, and new “buses that bend” were introduced to Cleveland’s historic main street. The HealthLine was born. A weekend of free rides followed, and regular service began on Monday, October 27. Since then, transit officials from around the globe have visited Cleveland to see how the HealthLine works, as it often ranks as the best BRT system in North America, providing unmatched service all the way from Public Square to East Cleveland. RTA is proud to celebrate 10 years of excellence. We thank all the customers, operators, and personnel who have contributed to the HealthLine’s success, and we’re looking forward to many more years of quality service! 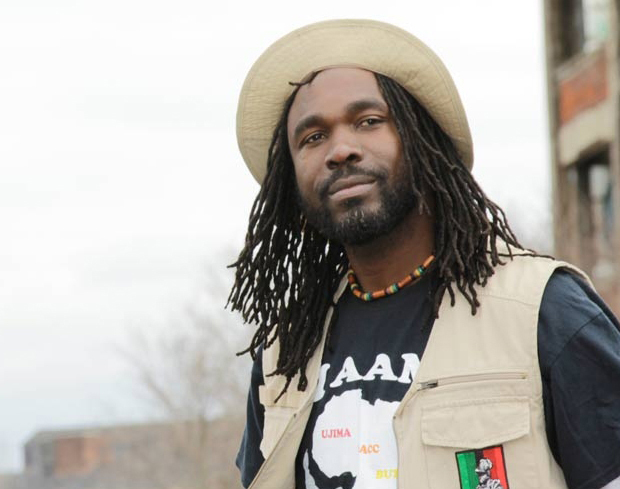 Junior Bailey is a bus operator by day and reggae sensation by night. Music is his passion: his band Str8 Fiyah has sold music in over 100 countries (including Jamaica, where Junior is originally from), and they’ve shared the stage with some of the biggest names in reggae. Junior knows how to lift people up with his words, and that may be in part due to his musical talents. As an operator on the “extra board,” Junior drives various routes each day. No two days are exactly the same, but it’s a testament to his warmth that despite tackling different lines, Junior still has regulars who look forward to having him as their operator. The performer in him knows how to connect with people, and he finds joy in helping others; he has a big heart that extends to everything he does. Junior considers RTA his family, and that relationship has helped him excel at his job over the past 12 years. He says, “If you love your job, and do what is asked of you, then you won’t have problems, because doing things in the name of love is a lot easier.” Junior truly embodies the mantra of “Live, laugh, love,” which makes him a great asset to his RTA family. For 50 years, the Red Line Rapid has been providing direct service to Cleveland Hopkins International Airport. Cleveland was the first city in the Western Hemisphere to have a direct rapid connection between its central business district and an international airport. Today, the Red Line is still running strong. It provides a direct route to the airport 20 hours a day, 7 days a week, 365 days a year, with trains departing every 15 minutes—which adds up to nearly one hundred daily arrivals and departures. Regardless of where you live—West Side, East Side, or Downtown—the Red Line is the perfect connection to your next flight. Because whether you’re traveling for business or pleasure, the Rapid always delivers a first-class experience. Please join us for the Service Planning Open House on Tuesday, October 30, at RTA Headquarters (1240 West 6th Street, Cleveland). There will be two sessions, one held at 12 p.m. and another at 5:30 p.m. We will discuss the #81 bus route and other potential service enhancements. RTA welcomes input on all routes during these open houses. Thanks in advance for your invaluable feedback. October is a huge month for the home teams, as you can catch the Indians, Cavs, Monsters, and Browns in action. The Indians are gearing up for playoff season, while everyone else is just getting started. The Cleveland Monsters home opener is Friday, October 5, but you can also catch games at The Q October 6, 11, and 13. The Cavs season home opener is Sunday, October 21. They’ll also host games October 24, 27, and 30. To visit Progressive Field and Quicken Loans Arena, park at one of our many free, secure lots and take any Rapid line to the Tower City Station. Then take a brief stroll through the Walkway, and you’ll find yourself right in the heart of it all. Don’t worry if the game goes into overtime or extra innings; RTA guarantees a ride home for 60 minutes after the game concludes. A little closer to the lake, the Browns host games at FirstEnergy Stadium October 7 and 14. Hightail it to your tailgate by riding the Waterfront Line from Tower City and exiting at the West 3rd Street Station. No matter the sport, we’re always rooting for Cleveland! Please take a moment to submit your nominations for The General Manager’s Customer Service Award. This honor recognizes employees or employee groups who have delivered exceptional customer service. All RTA employees or employee groups are eligible for the award. The Interim General Manager will review all nominations and make the final selection of award recipients. The ADA defines service animals as dogs and other animals that are individually trained to do work or perform tasks for people with disabilities. Examples of such work or tasks include guiding people who are blind, alerting people who are deaf, pulling a wheelchair, alerting and protecting a person who is having a seizure, reminding a person with mental illness to take prescribed medications, calming a person with Post Traumatic Stress Disorder (PTSD) during an anxiety attack, or performing other duties. Service animals are permitted to board any RTA vehicle or enter any RTA facility. Customers are not required to carry any documentation to show that the animal is a service animal . Service animals may not occupy a seat and may not remain in the aisle. We ask customers to please place service animals in the area under the customer’s seat. Service animals must remain under the customer’s control and may not pose a direct threat to the safety or health of drivers or other riders. Large pets (over 25 pounds) may not board RTA vehicles, but customers may travel with small pets (weighing 25 pounds or less) if the pet is in a carrier. The small pet must remain in the carrier and under the customer’s control at all times. Pet carriers may not occupy a seat and may not remain in the aisle; we ask you to place the pet carrier in the area under your seat. Meet Transit, your urban travel companion that comes in the form of a free app. Navigate RTA’s system with simple trip planning, step-by-step navigation, service disruption notifications, and departure and stop reminders. This app is easy to use and will keep you up-to-date and informed with real-time tracking. It’s available for both Android and iOS systems.